29,2 x 22,9 cm - 11 7/16 x 9 in. Percy-Moore Turner, Londres – Etienne Bignou, Paris – Galerie Caspari, Munich – Max Emden, Ascona (Suisse) – M. et Mme H. Anthony Ittleson, 1968. New York, Wildenstein & Co., 1968, n° 1 (repr.) – Tokyo, Kyoto, Fukuoka, 1976-1977, n° 5 (repr.) – New York, Wildenstein & Co., 1978, n° 3 (repr.) – Washington, National Gallery, 1998, n° 12, repr. p. 44. Manson, 1927, pl. II – Lemoisne, 1946-1949, II, n° 75, repr. 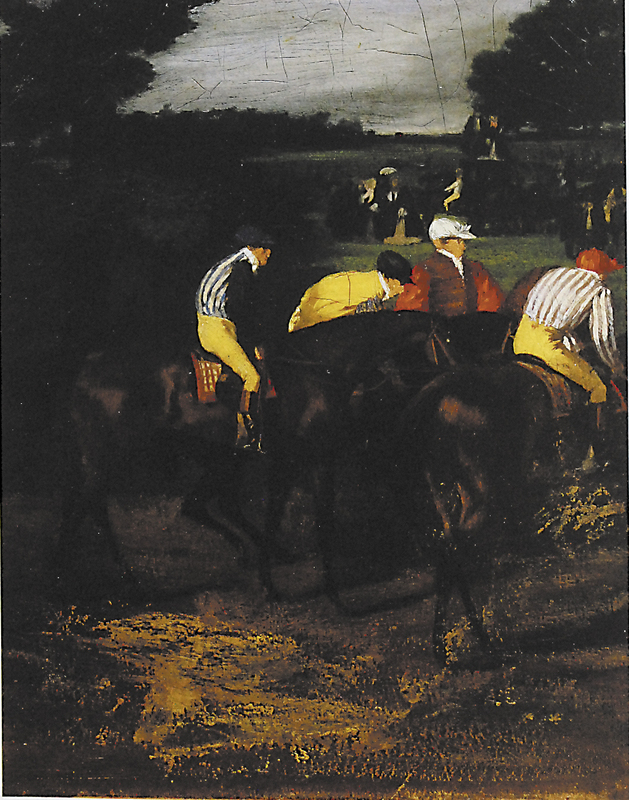 p. 39 – Rosenstein, "A Day at the Races", Art News 67, n° 2, avril 1967, p. 30 (repr.) – Brown, "The Horse in Art", Artsmagazine 42, avril 1968, p. 45 (repr.) – Kendall, cat. New York, Metropolitan Museum, 1993, p. 61, 181 n° 1.